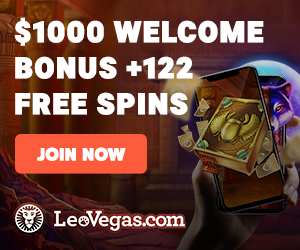 LeoVegas is one of the top online casinos in the world. In fact, the site often appears at or near the top of the online casino rankings across a range of areas. This includes customer service, game choice, promotions and graphics. In particular, Canadians prefer Leo Vegas for its generous deposit bonus and 98% payouts. As it turns out, players all over the world feel the same, too. At the recent Global Gaming Awards 2019 ceremony, LeoVegas subsequently picked up two coveted accolades. Namely, awards for Online Casino of the Year and Mobile Operator of the Year. The Global Gaming Awards is an annual ceremony that honors the very top firms in the online gaming industry. Other firms also receiving honors this year include Evolution Gaming and NetEnt for its Jumanji online slot. The Global Gaming Awards 2019 is powered by Gambling Insider. It is held twice a year as a way to honour the best in the industry. One event takes place in London and the other in Las Vegas. The London version focuses on international markets and honours the best across various categories. The Hippodrome Casino in London played host to this year’s ceremony. It welcomed online gaming executives from all around the world. Nominees were considered in 16 classes for their operations and achievements over the past 12 months. Five industry experts collected and presented the nominees prior to the ceremony. A panel of 50 judges then voted on their first and second choices in each category. After that, those votes were tallied, a process overseen by auditing firm KMPG of the Isle of Man. One of the most coveted accolades at Global Gaming Awards 2019 was the Online Casino of the Year. This is because it covers all aspects of online casino sites and considers all of their offerings. This year, the winner was LeoVegas, thus making two straight annual wins for the operator. LeoVegas has won many awards throughout the years, though. Including ICE’s Best Gaming Operator of the Year in 2013, and Mobile Casino of the Year in 2014. In fact, the list goes on as LeoVegas works hard to improve and exceed customer demands. Our experts also rate it 4.9 out of a possible 5. Reasons for its high standing include 24/7, top-notch customer service, and a stellar deposit bonus. As well as great promotions, software, and security measures. Evidently, LeoVegas seems to have the category locked in. In the meantime, 888Casino and Mr Green finished in second and third places, respectively. The winner of the Online Casino Supplier award this year was Evolution Gaming. In 2018, the firm had finished second to NetEnt. Evolution Gaming has become known for its live dealer online casino games. The most popular of these games are live roulette, live baccarat and Live Ultimate Texas Hold’em . Most recently, Evolution set up its own Canadian studio in the New Westminster area of British Columbia. This formed part of a five-year deal with the British Columbia Lottery Corporation. The new studio holds 10 roulette, baccarat, and blackjack tables with room to expand in the future. Players can find Evolution live dealer casino games on Royal Vegas Casino. Meanwhile, NetEnt finished second this year after winning this category last year. And Microgaming finished third. At the Global Gaming Awards 2019, the Casino Product award was given to Jumanji. This new online video slot game was released by NetEnt in 2018. It quickly caught on and became a very popular game with players. Our leader, Warren Jacobs, was delighted to present an award at this afternoon's #GlobalGamingAwards in London. The game deal with Sony Pictures Entertainment has delivered a unique game. In fact, it combines the fun of traditional online slot play with a board game. The latest tech provides many exciting twists and turns in the game, too. Like Sticky Vines sticky wilds, Monsoon Wilds reel covers, Monkey Mayhem shuffled symbols, and Wild Stampede wilds. Moreover, the number online casinos featuring Jumanji each month continues to grow.